Online Trucking, Inc. | Transport carrier serving ports/harbor, railroads, domestic drayage to warehouses, yards and door to door traffic. Online Trucking, Inc. (a California Corporation) serves the needs of Southern California shipping businesses, large and small. Our offices and yard are located in the City of Downey with easy access to most major transportation routes. We operate and service all ports and rail ramps in Southern California. Our drivers and staff are dedicated to providing first class service to all of our clients. ○ Forklift capacities to 5,000 lbs. ○ Pallet jack capacities to 5,000 lbs. 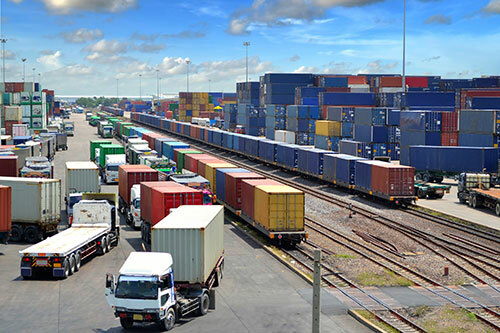 We also provide cross docking, overweight load reworking, and more to the shipping industry in SoCal. Our facility is conveniently located near the 710, 105, 605 and 5 freeways. Our yard is equipped with facilities to contain and store your merchandise safely and effectively. We have 24 hour site surveillance provided by an onsite watchman, plus onsite security cameras with multiple monitors accessible by our watchman and remotely by management. So your transload, storage, and drayage business will be safe with us. Our staff is fast, accurate and dedicated to providing world class service for you. Give a call or send a rate quote request. We want your business, and will do our best to get it. Our entire fleet of Volvo trucks come with a 500,000-mile warranty and are compliant with emissions restrictions in the lower 48 states. By owning our fleet, we’re able to implement proper and consistent maintenance on every truck. So our customers don’t have to worry about breakdowns delaying their loads. Every trucker who owns a truck sets his or her own hours, maintenance schedule, and driving standards. 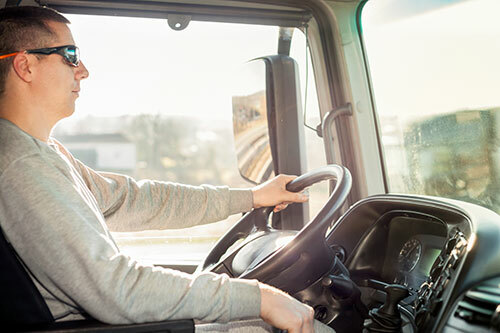 Not at Online Trucking, Inc. Our drivers are provided with top-quality equipment that Online Trucking owns and maintains, and each driver must meet our standards not only for hiring but also for safety — every time they get behind the wheel of an Online Trucking truck. With almost 50 combined years of experience in the trucking industry, our courteous dispatch staff knows how to take care of your load. 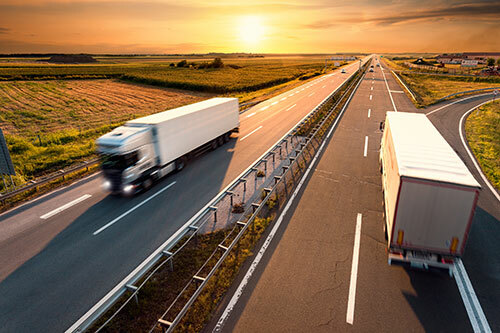 Online Trucking, Inc. uses top-of-the-line VILDEN technology to GPS track our customers’ loads and to monitor our drivers. At Online Trucking we take pride in knowing our business.